Action Music was established in 1997 to provide a fretted instrument store that the owner felt was missing in the Washington, D.C., and Northern Virginia area, at that time: a local, independent, repair-oriented shop that stocks a wide variety of high-quality instruments, amps, effects, and parts, as well as utility instruments for the working player. 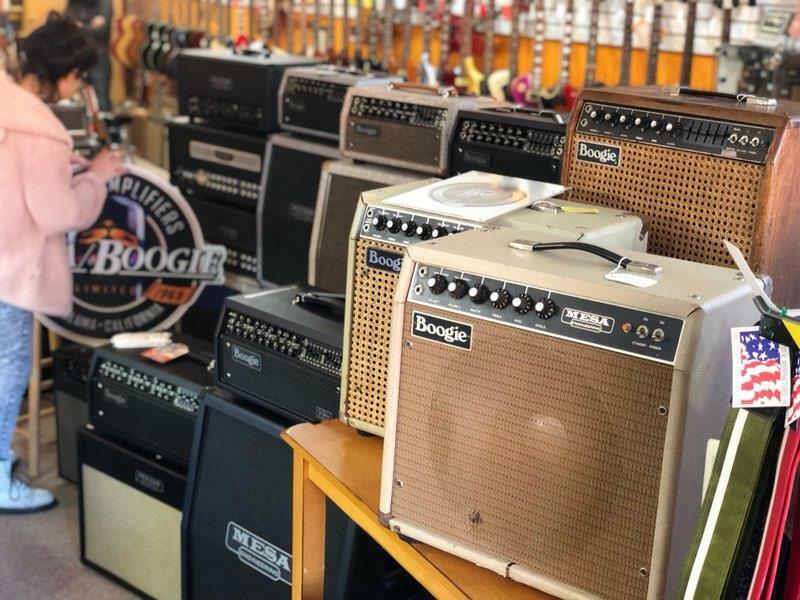 After working as a touring tech, Matt felt that it would be nice to be able to find a store that, on top of the gear you expect to find, also stocks everything from flat-wound bass strings and hard-to-find vacuum tubes to felt ukulele picks. We are grateful for the local community’s continued support, which has enabled Action Music to thrive. Above all we strive to be upfront and transparent in all of our transactions because clear communication is essential to good service, reputation and helping our clients achieve the tones they want. A broad mix of guitars from pre-war lap steels to used items, new Instruments and amps from some of the worlds finest makers, a huge selection of pedals comprised of new, used and vintage, on site instrument repairs and a large new and vintage parts inventory. 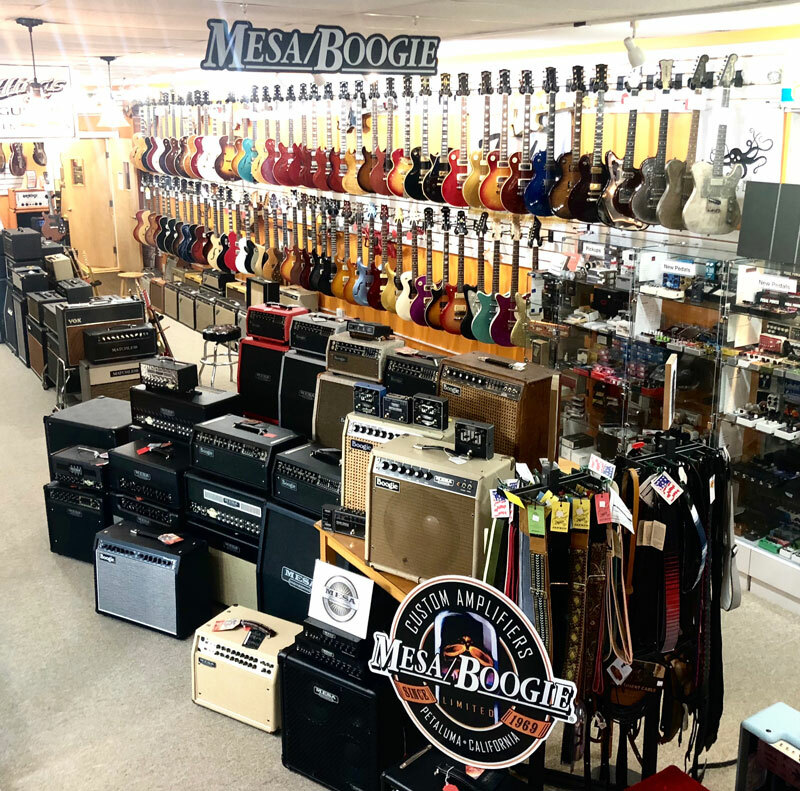 The owner has over 30 years in the retail guitar business and Action Music celebrated 22 years of brick and mortar operation in March of 2019. We strive to have original and current examples of all types of guitar related gear so that folks who visit can compare different versions of similar items to find the gear that best suits them and their musical desires. It's supposed to be fun right? Our customers are the best! From Late night bedroom songwriters to Internationally known touring pros, we have celebrity clientele, but they work hard for their reputations and since discretion is the better part of valor we'll let them mention us if they'd like. We are extremely grateful for the support of our clients as we couldn't exist without them. We're seeing a lot of online sales, and quality in gear is being sought after more than ever. We can barely hang onto our Fillmore 50s! With a telecaster, and a solid pedalboard it's an unstoppable rig! Next Post Kagan and Gaines Music Co., Inc.